A London-based production company is establishing a new high-end theatre service that will create bespoke shows for “drawing rooms, gardens, yachts and beyond”. Billed as an exclusive private theatre offering, each of Revels in Hand’s productions will be specially created for a private client and chosen for the space in which they will be performed. 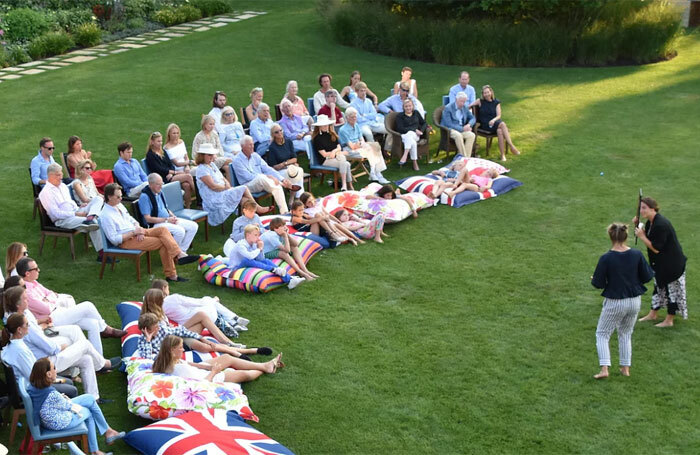 Go People, the company behind the plans, said this could range from a dinner party or a yacht to corporate events and weddings, and would incorporate all styles of play including Shakespeare and modern classics. Clients can also commission new work if they wish. Revels in Hand will create the performances for an average of £5,000. Each will be priced on a case-by-case basis. Co-founder Lucy Eaton said Revels in Hand had been inspired by the popularity of private performances, often for aristocracy, in the English Renaissance theatre of the 16th century. “Inviting actors to one’s home or to a private gathering was the thing to do in Shakespearean times and it’s our ambition to revive this definitive form of entertainment, so loved by the aristocracy and royalty. “Revels in Hand is the perfect luxury for any host to ensure their guests come away in a state of awe and admiration, and that they talk about the occasion for weeks to come,” she said. The service has been created by actors Eaton, Melanie Fullbrook and Freddie Hutchins, who run Go People. The company has been staging work in traditional theatre spaces since 2013, including co-productions of Daisy Pulls It Off  at Park Theatre, directed by Paulette Randall, and A Midsummer Night’s Dream at Southwark Playhouse, in 2016. To mark the launch of Revels in Hand, the company has partnered with the Shangri-La Hotel at the Shard, London, where it will stage a series of performances in the hotel’s suites. These will take place once a month from September to December.